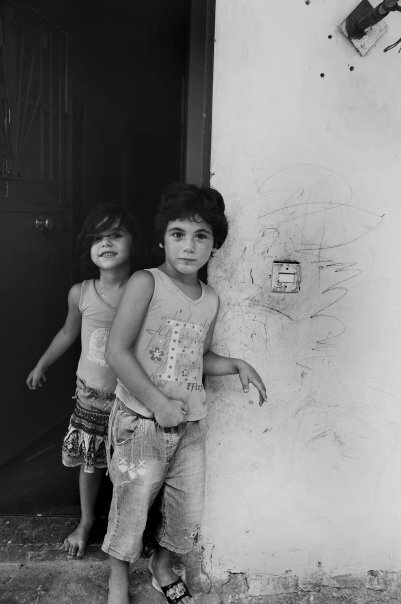 12 kilometres east of Beirut, on a hill overlooking the Beirut-Tripoli highway, the Dbayeh refugee camp hosts mainly Christian Palestinian refugees, some descended from the original group displaced from Galilee in 1948. Four generations, all stateless to this day. More recently, the camp has been welcoming refugees from Syria. 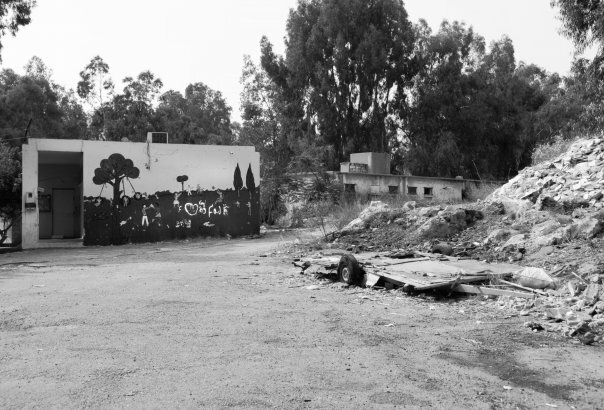 Due to its strategic location, the camp suffered a great deal of violence during the Lebanese civil war. In 1990 alone, a quarter of its shelters were destroyed or severely damaged, and several families found themselves displaced once again. Today’s residents live in economic hardship and many are unemployed. A few men find work as casual labourers, and some youngsters serve in shops or as cleaners. 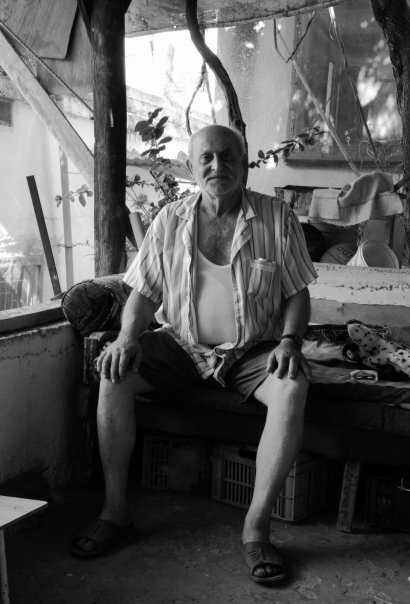 Impasse, a photodocumentary by Johanna Mifsud, offers a glimpse at the life of ordinary people inside the Dbayeh camp. Taken in the summer of 2008, the collection and commentary are available in the form of a photobook. 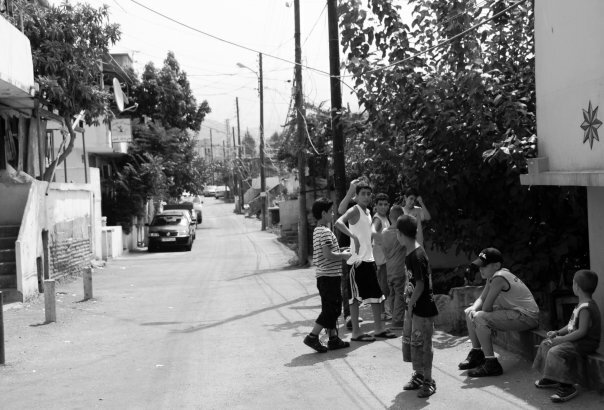 Secteur 1, Dbayeh refugee camp, Lebanon. 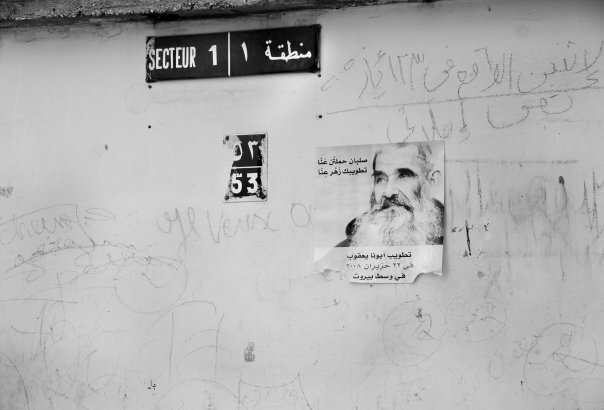 A poster of the Saint Abouna Jacoub, on a wall with graffitti at the camp. 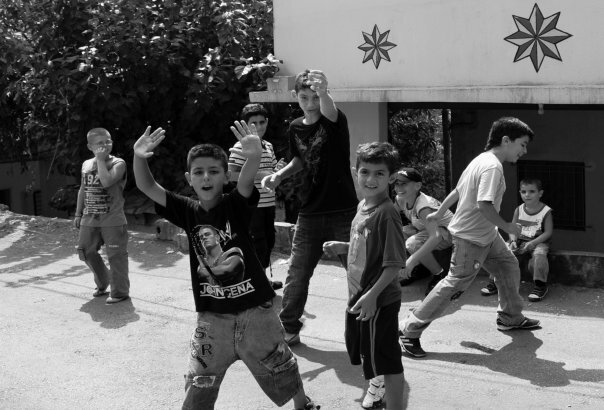 Dbayeh differs from other refugee camps due to the fact that it is a permanent arrangement. 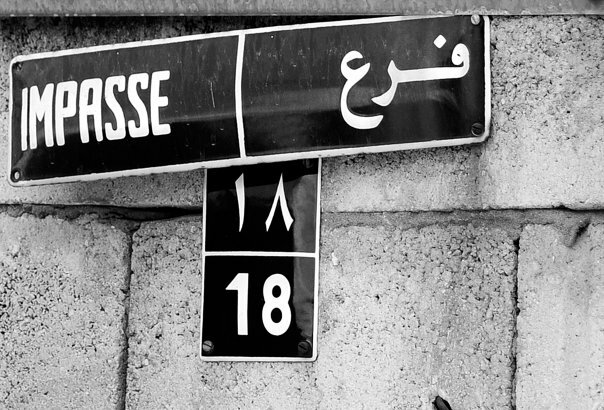 The residents remain stateless under Lebanese law, and no sign of a change appears to be on the horizon. 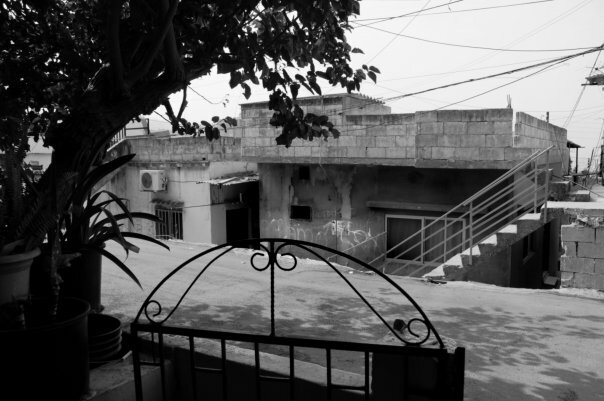 The Dbayeh camp is like a small village, and all the streets and many narrow alleys are marked by the familiar blue street signs in Arabic and French, just as in the rest of Lebanon. Much of the brick work is left unplastered as most people can’t afford the luxury of aesthetics, though not all do without the odd airconditioning unit in this hot climate. 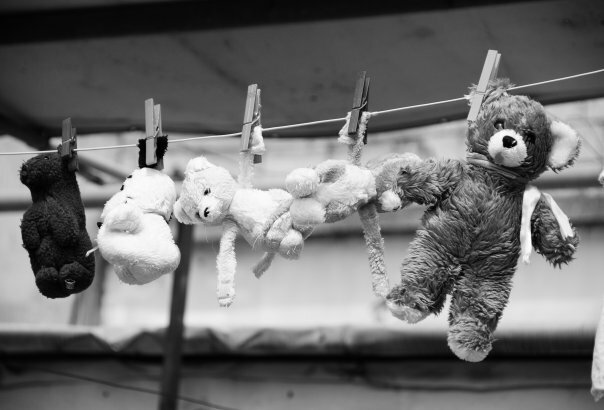 Even refugee camps have their bear wash day. Children at play during their summer holidays from school. I found the camp was very well administered and organised. 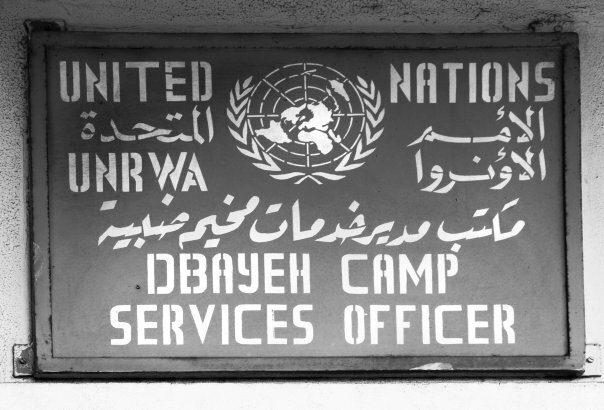 Dbayeh was one of the first camps to be set up when the first wave of Palestinian refugees arrived in 1948 after displacement from their homeland. To this day the original residents, their children, their grandchildren and great grandchildren are still stateless and do not bear Lebanese identity. They all wanted to be photographed! 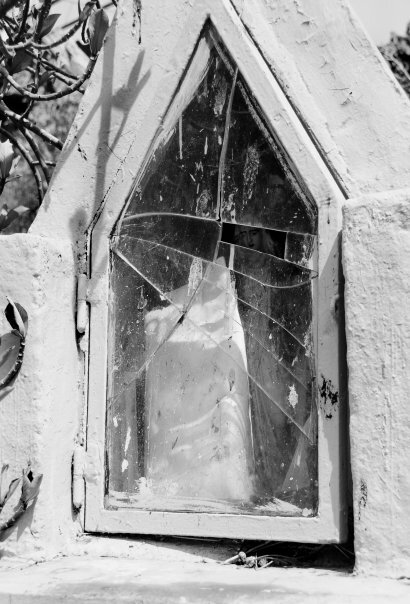 The face of Our Lady visible through the broken glass on this niche. 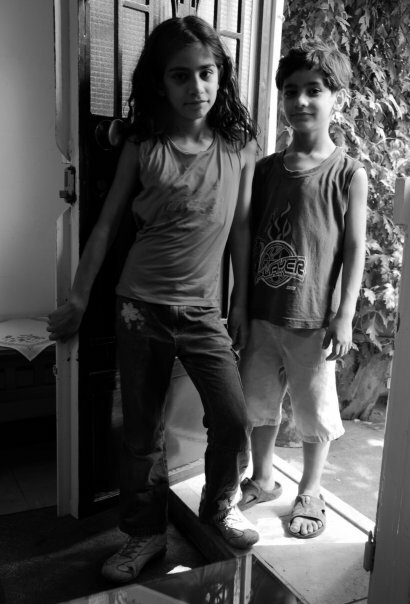 The door of the house of The Little Sisters of Nazareth at the Dbayeh refugee camp is always open for any help they can give. The three resident nuns work tirelessly amongst the residents. A very mischievous pair who followed me for a short while, shouting through their megaphone. His name was Charbel. He stuck his tongue out at me when I tried to photograph him and his shy sister. Three siblings who, despite the hardship they endured due to their father being chronically ill with dementia, still kept a warm smile. 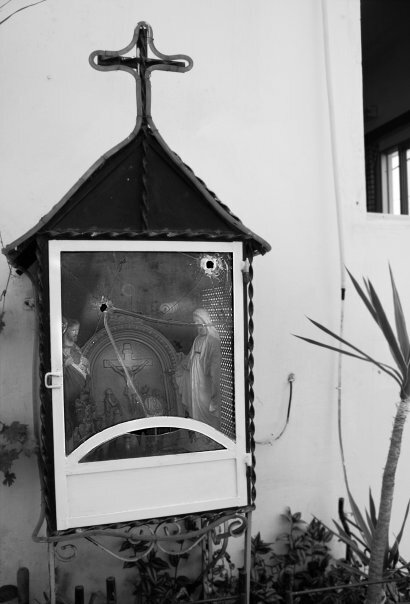 Bullet holes pierce this niche, a reminder of a violent past that spared nobody, not even the saints. 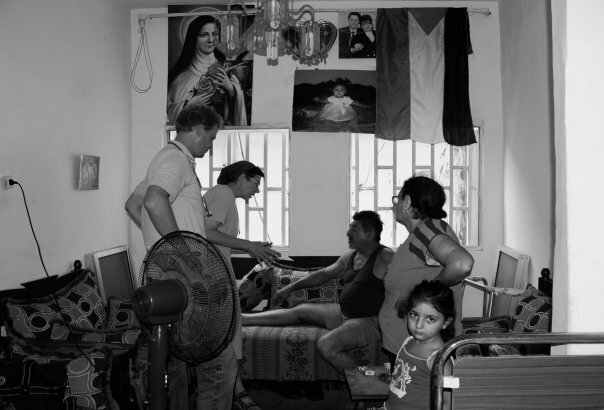 A home in the Dbayeh camp. I still remember the many cups of coffee and orange drinks I consumed during the photoshoot. Each household a story, a life, an experience. Often the extraordinary in the seemingly ordinary. Christmas in all seasons. It was a stifling hot and humid September day when I photographed this. Where children play. It wouldn’t take much to have this school cleared of debris and refurbished, but it is very complicated to get the various competent authorities to do it. The land belongs to the church, the buildings to the government, and the camp is administered by the UN. St. Rita (the patron saint of the impossible) and the Palestinian flag adorn the living room of this family. The man is having a wound on his leg seen to following surgery. Rita the grandmother looks on, Rita the granddaughter turns towards the camera. Portrait of a Palestinian fisherman. He was very happy to pose for photos. He was convalescing from an injury to his leg which kept him housebound for a while. He was very eager to return to his little boat as soon as he recovered. 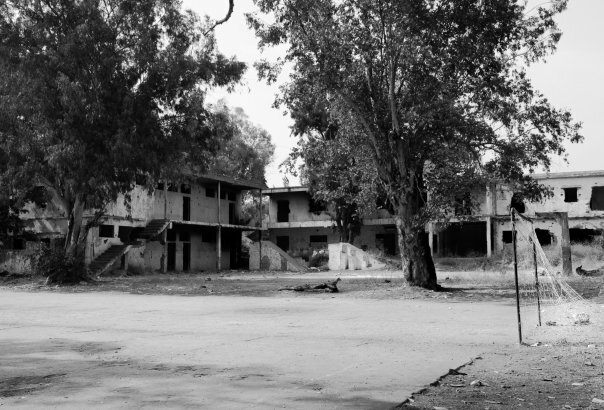 A young boy plays amongst the ruins of the old school on the outskirts of the camp. 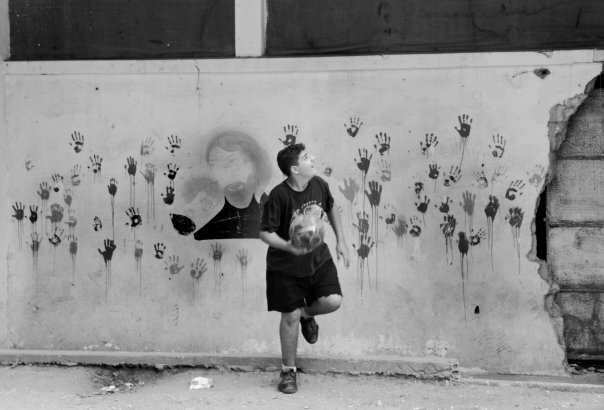 The mural behind him depicts St. Joseph and Jesus surrounded by hand prints of the children. 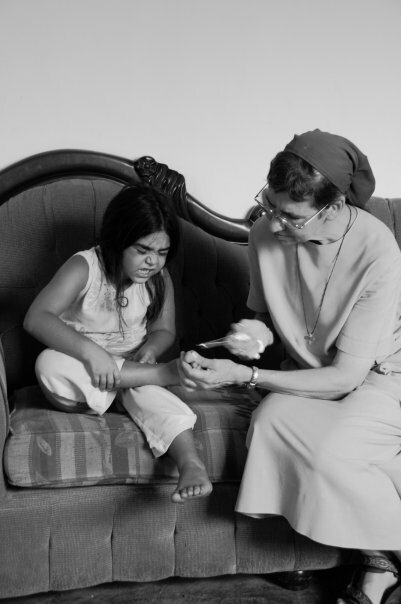 This young girl winces as the nurse sees to an ulcer on her toe. Two of four female siblings, all under the age of 8. Quite a handful for their young mother, especially during the summer when they are out of school. 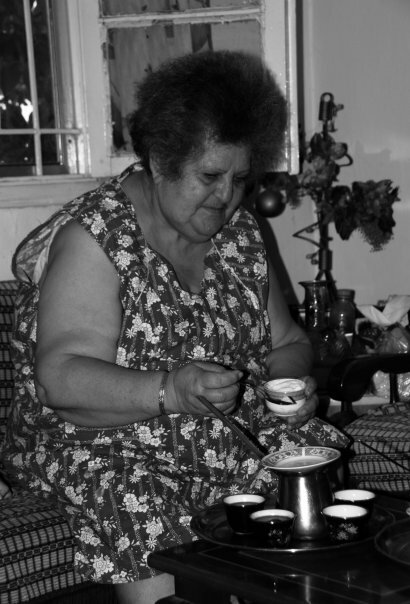 Many of the old residents at the camp suffer from diabetes as a result of the lack of nutritional education available. Large amounts of sugar are used in beverages. This old woman who very kindly offered me coffee actually told me that sugar makes you strong. 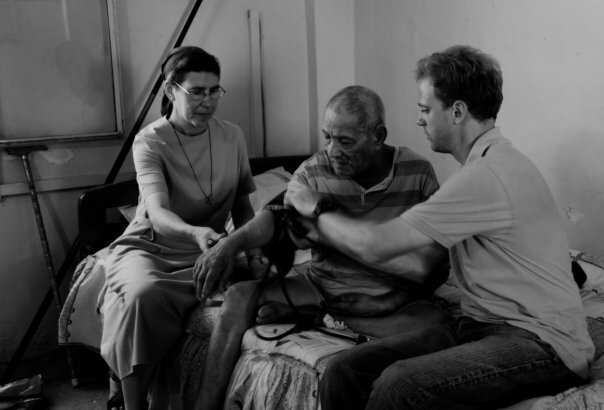 A bedridden man is checked by the volunteer doctor from Belgium and the resident nun nurse, Sister Johanna, from the Little Sisters of Nazareth. 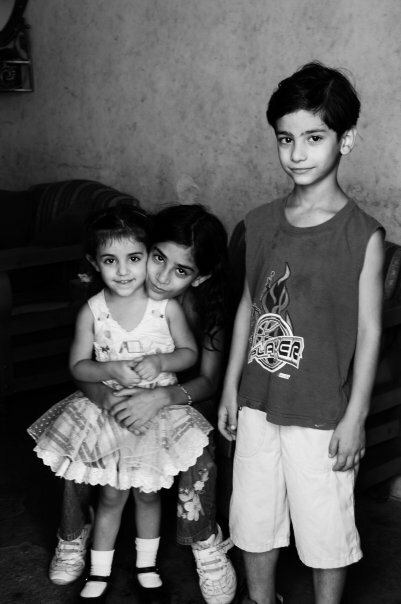 Palestinian refugees in Lebanon do not have access to free healthcare, and often have to make do with what they can afford privately. 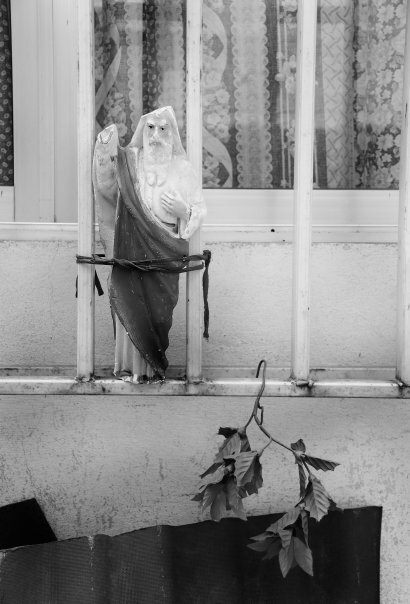 Some of the elderly residents have lived as refugees in the camp for their entire life. Even girls in refugee camps are princesses. This little girl went to change into her party dress for the photo. The mother, with four young children and a chronically ill husband confined to a hospital, puts on a brave face despite the hardships she has to endure. Dbayeh has seen some terrible fighting over the years. The buildings in the foreground used to be a school, gutted during one of the many conflicts that have plagued Lebanon. Each man to his own paradise. 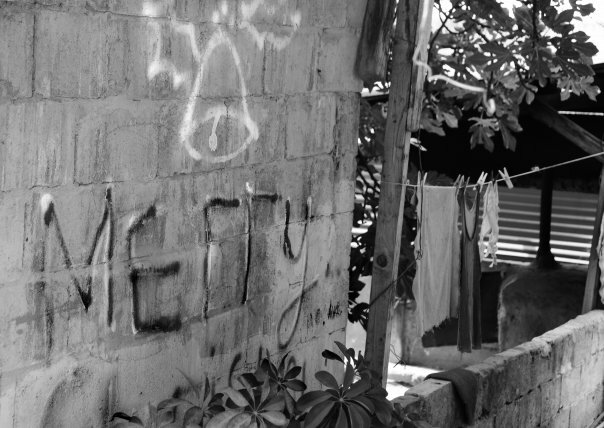 A sign on a shanty building at Dbayeh. Saint and amputee. Even the sacred are not spared the unrest. Click here to see more photographs from Impasse. Johanna Mifsud‘s unpretentious, no-frills documentary photography has been featured in the Guardian, Everywhere and First Things Magazine. She has collaborated with a number of NGOs, including Heifer International and US Aid. 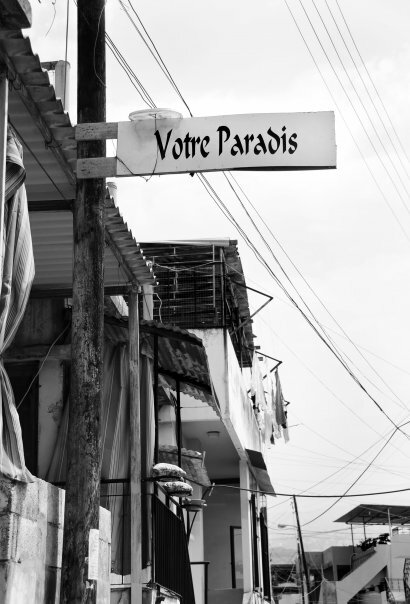 Other works by Johanna include Haidar – A Shia Tradition in Nabatiyeh, The Spirit of Bourj Hammoud and Urban Art Beirut. 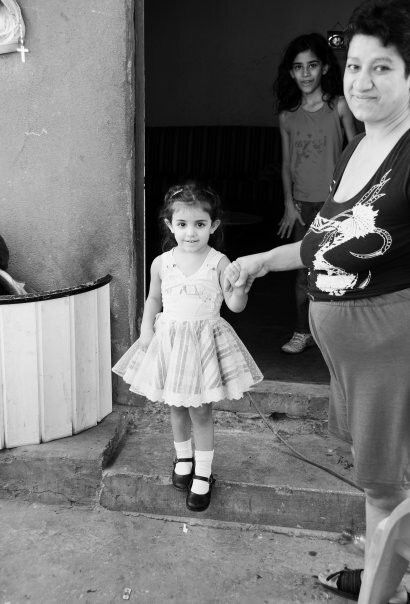 This entry was posted on 27/12/2014 by mondepasrondeditor in documentary, photography and tagged betweenness, borders, Johanna Mifsud, Lebanon, migration, Palestine, refugees, statelessness, Syria.